2009 FEED Launches Internship Program | FEED, Inc.
Makati, 1 February 2009. Due to the scale of its endeavours in education and environmental initiatives, FEED launched the Internship Program starting with its scholars. Student teams from international education institutions are invited to participate in a 3 to 12 month internship period to establish livelihood programs and social forestry projects with our partner the University of the Philippines, Los Baños and the Land Grant Development Office, which manages about 9000 hectares of arable forest in Quezon. design and implementation of carbon credit schemes for large scale forests. The FEED Internship/Training Program is meant for individuals seeking to gain practical experience in the fields mentioned above, in leadership with the FEED team (Board, Advisor, Project Teams and Partners). The content of the FEED Internship/Training Program is conducted fully by and with FEED as an “on-the-job” training or practical experience and it is up to proposing academic institution/individual who wishes to participate (i.e. the students / respective universities) to assess the quality of their respective student’s training – which can of course be done in collaboration with FEED. The FEED Board also comprises members of the Academia (e.g. from the University of the Philippines), who are able to help assess and eventually certify the student’s experience, progress and results. As such, the FEED Internship/Training Program is similar to a “part-time job placement” or “practical training period” as part of the students respective University requirement or extra credits, and it can also be viewed as a corporate (in our case social enterprise) training experience. 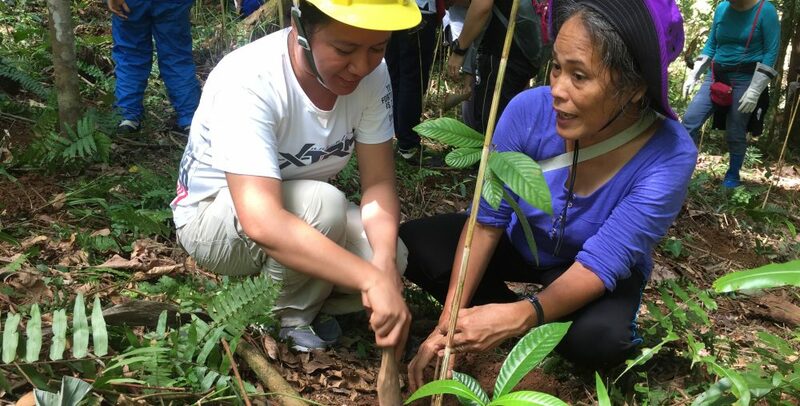 UPLB initiated a Memoradum of Understanding (MOU) with FEED as partner, covering our joint tree-planting initiatives. Interns/Trainees can thus partake in projects that arise under this MOU on our tree-planting initiatives in Quezon province (e.g. 6-12 month training to establish livelihood program with our partner the University of the Philippines, Los Baños). We are also open to hearing your ideas! 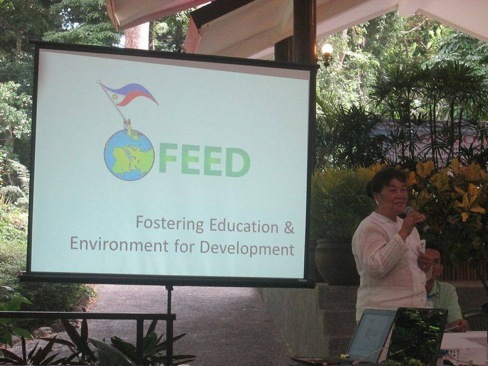 To apply, please email info@feed.org.phwith your CV and proposal on how you believe you could add value to our work. Please look into our Engagement Activities to know more. 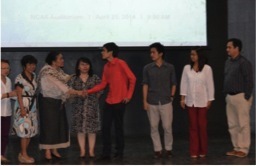 Mrs Bakker shaking hands with Angelo A. Cortez, one of the two FOFI Scholars. In the picture are (L- R): Mrs. Cecille Dinglasan, Dr. Asuncion Raymundo, IBS Director, Dr. Nina Cadiz, Dan Jacob Resurreccion, Dr. Vachel Paller, and IBS Deputy Director, Dr. Juan Carlos Gonzales.